The nefarious Professor Crabbe sees Dr Cephalopodus as his arch rival and sworn enemy. Dr Cephalopodus, as with most matters of human interaction, is unaware of this, much to the frustration of the professor. 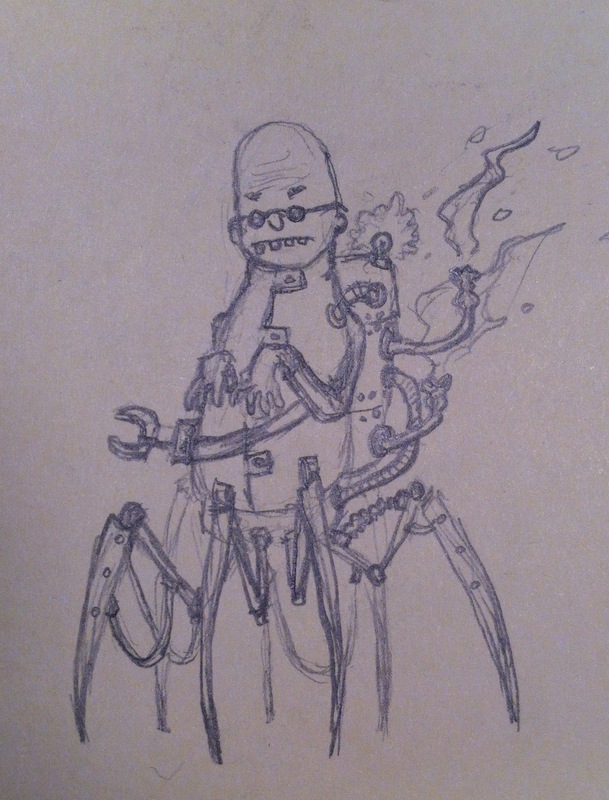 This entry was posted in Chronicles of the Tales of the Sagas and tagged Arachnid, Crab, Crustacean, Professor, Science, Steampunk. Bookmark the permalink.